Infantino Summer Fun Prize Pack Giveaway! 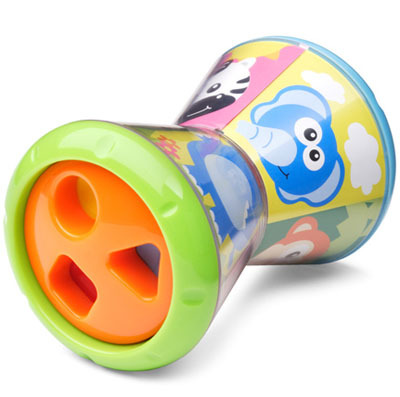 Infantino is one of the first brands that come to mind when I think of fun baby toys. They are bright, colorful, and quality made. Even better they are extremely affordable. Many of their toys have great features that help build baby’s hand to eye coordination, shape and letter recognition and more. Plus, they think of mom with things like volume control. Press and watch brightly colored balls spiral their way up the ramp and back down again. Press the elephant ears and let the shape sorting fun begin! Matching the shapes and colors will encourage hand-eye coordination and help little toddlers with shape recognition. 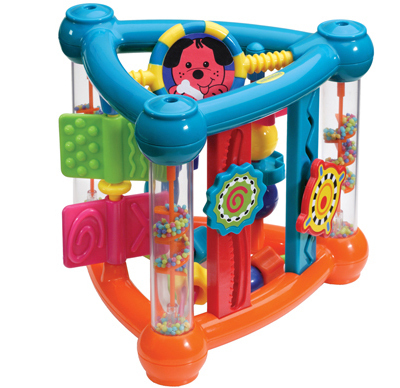 Brightly colored activity toy has 5 sides of play with over 10 fun activities. Fun activities on every side! Press these little friends and they play music as they scoot along! Twist, turn, mix and match up these kooky characters! Fun ratcheting and rattle sounds. You can purchase Infantino products from many places that sell baby products like Babies R Us, Target, Walmart, and even Step2.com! Infantino has offered one Mom Spotted Reader a Prize Pack of all the toys shown above!!! 1.) Visit Infantino and tell me what product NOT mentioned here you like! That’s many chances to win a a Prize Pack of SIX TOYS!!! Contest ends May 1st at 11:59pm! I really like the fold and go bouncer! Im a Fan of Infantino on Facebook! I like the barn babies. i think the FireFly Soother looks soo cute!! I love their car seat buddies. Definitely helped entertain my LO when we were out & about. The day at the fair puzzle! I like the Flip and peek fun phone! JoHanna holds anything up to ear and acts like she is talking on the phone to Dad it’s so cute! The Counting Penguin, that counts to 10 as a child feeds him little fish, is just “so cool”!!!! All of these toys are quality! One product that I have my eye on is the Fold & Go Bouncer. It would be great for the baby we are due with in October. I like the colors and shapes puzzle. Thanks for the giveaway. OMG…I love the little Barn Babies, especially the cow! Have babies busting out of our seams in our family and would love this set for my daughter and son! LIKE Infantino on Facebook (eileen r) and left a message I came from there, &told them my fave toys! I voted for you on HopScout…vote 86 n left a message there! I like the Lullabuddy Crib Companion. I am Infantino’s facebook fan. I love the Breathe™ Vented Comfort Carrier! I like the Counting Penguin toy. Love their slings & carriers! I like the build a town puzzle. The Drop and Slide Fun Farm looks really cute! 1. I follow your blog! I added your Mom Spotted button to my blog! I like Infantino on Facebook and I posted on their wall! I voted for you on HopScout! I also like their Fire Fly Soother! I am a Facebook fan of Infantino. I like the ALPHABET TRAIN puzzle. so cute. thanks! I’m a Fan of Mom Spotted on Facebook. I like their fold and go bouncer! I like the Car Seat Buddies. I love their fill and freeze puree pops!! I think the activity stacker is really cute. I love the Fold & Go Travel Bed. That is such a great idea! I like Infantino on FB (Kristen H) and left them a comment. I like the Lullabuddy Crib Companion, it’s cute and I love the glowing lights. I’d like to try out the Activity Stacker. I like the boogie woogie bug gym. I voted for you entry 2! I’d like to get the Stackable Food Pots & Freeze Tray! I like the Fold & Go Bouncer. I like the Car Seat Buddies! We had something similar for our daughter but I like how easy this one looks to attached. What a great prize pack! My favorite item from the site is the A Day at the Fair Puzzle. I would like to get their 2-in-1 activity mirror. At 10 wks. old my son already loves looking in mirrors at himself. I follow Mom Spotted on FB. I love the Car Seat Buddies! I have 2 babies, so I should really go and get some of these. It would make car rides a lot more pleasant for everyone! I like the counting penguin!! Following Mom Spotted on Twitter and tweeted! I like the Switch 2-in-2 Shopping Cart Cover! I am a follower of your site via GFC! I’m a fan of Infantino on Facebook & left them a comment! I tried to “like” Mom Spotted on Facebook and leave a comment, BUT not one of those 3 links work and I could not find “Mom Spotted” by searching Facebook. Help! What a great contest! I like the 2 in 1 activity mirror. Thanks for hosting! I reallly like the Fold and Go bouncer. Love the shopping cart cover. Ive actually never used one! Blogged about this giveaway and a few of your others! 1/2- Voted for you at HopScout! 2/2- Voted for you at HopScout! I like the Counting Penguin! I love their feeding products – especially the mash and serve bowl and the food mill. My LO is just starting to eat solids, and both look like great products! I like the infantino balance carrier! I blogged with a picture! I like you on FB and wrote on your wall! I like infantino on FB and wrote on their wall! I love the Union carrier! 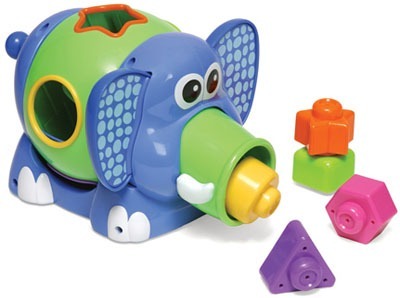 I love Infantio toys…I hope I can win this contest for my lil Gary!!! I Visit Infantino and I like the Baby Bugs! choochoo1717@hotmail.com I liked the fold n go travel bed from Infantino! I’m a fan of yours on facebook. I’m a fan of infantino on facebook and told what what I love at their site. I like the 20 word picture puzzle. I really like the Baby bugs! We used to have a little bug like these that lasted through four of our kids… might have to get one of these for our new little one! I really like the activity ball. I love the Counting Penguin! #1 – I subscribe by email. #2 – I subscribe by email. I follow Infantino on Twitter (love2bmommy). Following Mom Spotted on Facebook and commented (Lora Mortier). I like Infantino on Facebook and commented (Lora Mortier). Visit Infantino and tell me what product NOT mentioned here you like! We like Word Picture Puzzle. Commented on winners! winners! winners! The counting penguin is adorable! I would love to have the Boogie Woogie Bug Gym for my baby. 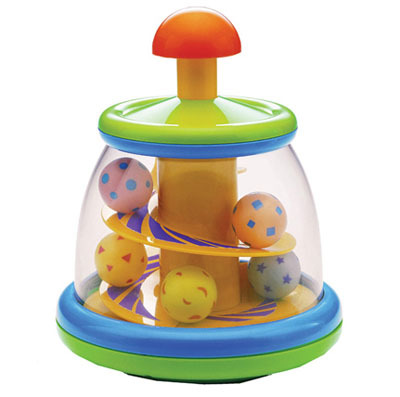 Infantino is one of the first brands that come to mind when I think of fun baby toys. They are bright, colorful, and quality made. Even better they are extremely affordable. Many of their toys have great features that help build baby’s hand to eye coordination, shape and letter recognition and more. I also really like their Fold & Go Bouncer. Like infantino on facebook and posted that we like their toys on their wall. Posted this giveaway on my FB wall (brutus Duffy).